Image courtesy of the artist and Two Rooms Gallery, Auckland. Photo by Heather Milne. Plot invites us to consider how we think about and value land. Brett Graham (Ngāti Korokī Kahukura) was interested in how Te Waipounamu (the South Island) had been surveyed, divided up and then 'purchased' from Ngāi Tahu by the settler government. 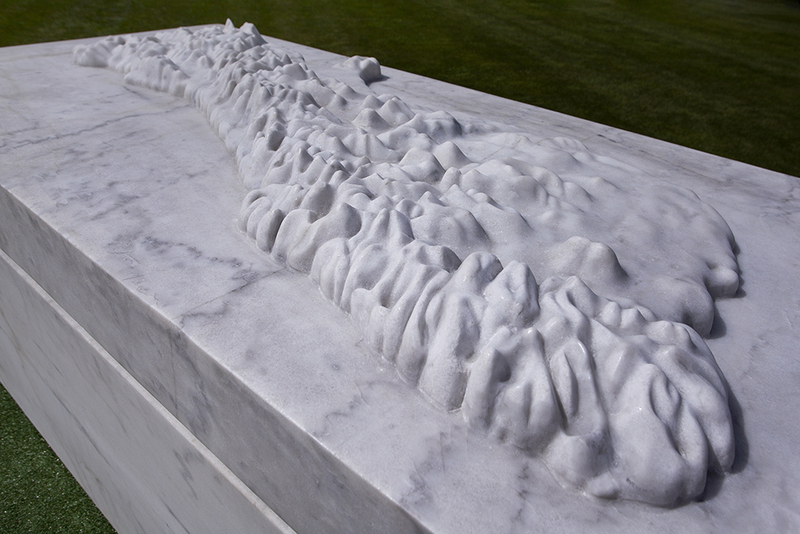 The carved marble topographic rendering of Te Waipounamu sits on a sarcophagus-like form, suggesting that the land endures a death when viewed only as a commodity. 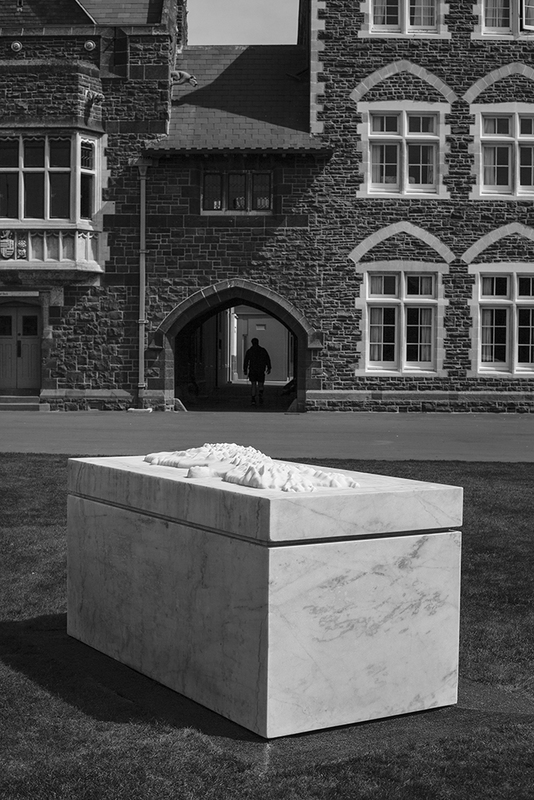 Brett Graham is a sculptor who creates large-scale artworks and installations that explore indigenous histories, politics and philosophies. Graham works from Tāmaki Makaurau (Auckland), though has been a constant traveller throughout his career, undertaking residences through Te Moana-nui-a-Kiwa (the Pacific), North America and Europe. He conceives his Māori whakapapa (ancestry) as a Pasifika/Moana identity and affiliated with a global network of indigenous and non-Western peoples. It is from this basis that Graham's work engages with histories of imperialism and global indigenous issues. Graham holds a Doctor of Fine Arts (DocFA) from University of Auckland, New Zealand, a Master of Fine Arts (MFA), from University of Hawai'i, United States and a Bachelor of Fine Arts (BFA) from University of Auckland, New Zealand. 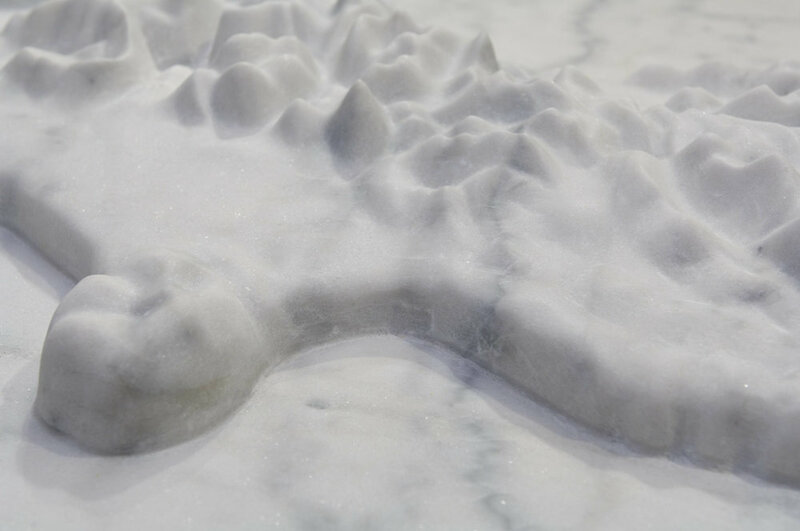 His work has been included in the Honolulu Biennial 2017, and the Sydney Biennale in 2010. His collaboration with Rachael Rakena, Āniwaniwa, was exhibited at the 52nd Venice Biennale (2007) and their work UFOB was shown at the Sydney Biennale in 2006.